Gaskets supply Orla is our core focus plus we stock a huge inventory of pre-cut gaskets of all sizes and types! Built on a tradition of die-cutting expertise, expansive state-of-the art facilities and a top-level drive for continuous technology adoption, we maintain in-house expertise in converting a multitude of materials to meet your custom gasket needs. Our drive for superior customer service and performance ensures that we keep up to date on the latest innovations to serve our customers. For companies needing products precisely converted from a wide variety of materials, Jay Turner Company is the most service-oriented, experienced partner that provides “one-stop shopping” and quick turnaround for the broadest range of high-quality parts and materials. Gasket supply Orla is our base but we also supply Texas and the rest of the country. We are locally-owned-and-operated, dependable and offer friendly service. We make you feel like you always have a friend in the oil and gas gasket industry. We are the most sought after company in the industry supplying custom gaskets in Texas. 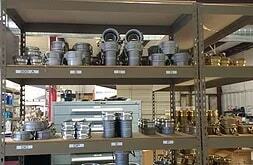 No matter the gasket you’re looking for we have you covered. 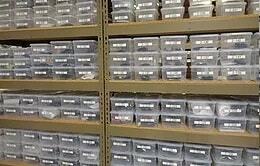 The options that you have are limitless with the customization that can take place with gasket supply Orla, Texas. Just to name a few there are compressor valve gaskets, firetube gaskets, manway gaskets, rubber gasket, garlock gaskets, and even flexitallics gaskets. 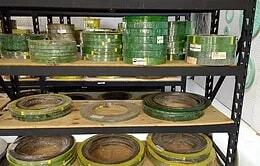 We are here to help fulfill your order for any type of gasket that is requires customization. 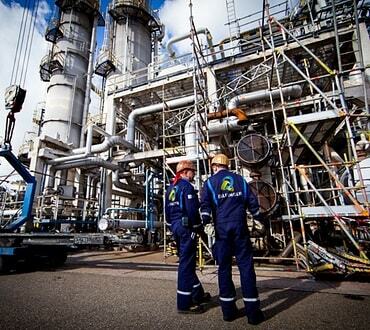 With more than 40 years in the gasket supply Orla trade supplying long term industrial customers with quality workmanship as an established gasket supplier we understand that customization is regularly needed regardless of industry. We services a range of industries such as food processing, petrochemical, oil and gas, refining, mining, power generation, utility, manufacturing equipment just to name a few. We understand the need for custom gaskets. We have cutting edge tools available to help create the custom gasket that is required for your project. We supply everything. From the idea, to sketch, to prototypes, to production delivery. Custom gaskets need to be quoted individually due to the nature of the work involved. Time frame to completion depends significantly on what you require. Please contact us for a quote. 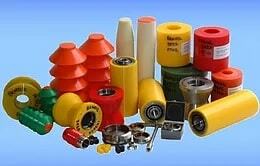 Gasket supply Orla, washers, sealers, spacers or even an insulator. Jay Turner Company is here to help deliver your custom job in a professional and prompt manner in Texas and across the country. With over 40 years experience there is nothing our team can’t handle. Jay Turner Company is lead by Jerret Turner and his father before that. We have built a reputation within the industry for high standards of work. Just ask our customers what they thin of our work! When you deal with Jay Turner Company you get to deal with profession staff who have your best interests in hand. Being a leader in the industry over several decades mean that you will deal with a team that has seen it all. Our team can come up with any solutions you need . We are headquartered in Artesia, NM but we also service the surroundings areas. We service the entire state of New Mexico but most of our customers are in Artesia, Roswell and Carlsbad. We service the entire state of Texas but most of our customers are in El Paso, Pecos, Levelland and Orla. We service the entire state of Arizona. We service the entire state of Utah. We service the entire state of Colorado. With new advances taking place in various industries, gasket manufacturers have to provide the right kind of gasket that will suit increasingly new applications. Custom gasket supply Orla needs to meet the needs varying applications because they are designed to exact measurements and material applications. There are many factors to consider when choosing a custom gasket manufacturer. It’s important to make sure that the manufacturer is reliable. Their manufacturing facility should provide the equipment to make custom gaskets with as small of tolerance as possible. 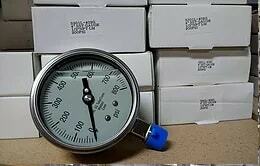 The manufacturer must also understand customer’s material requirements to include pressure, temperature tolerances and material types. 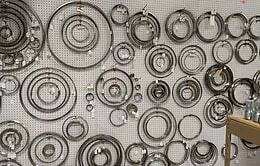 Below you will see a small portion of our products covering gasket supply Orla and more. Download our latest line card. Please use the form below to get in touch. Alternatively you can call us direct on 575-746-1730 or request a custom quote.